SAS EXTREME ELV Auto Processing attachment in France! BT Products is the distributor for SAS FORKS and SAS EXTREME in Europe. 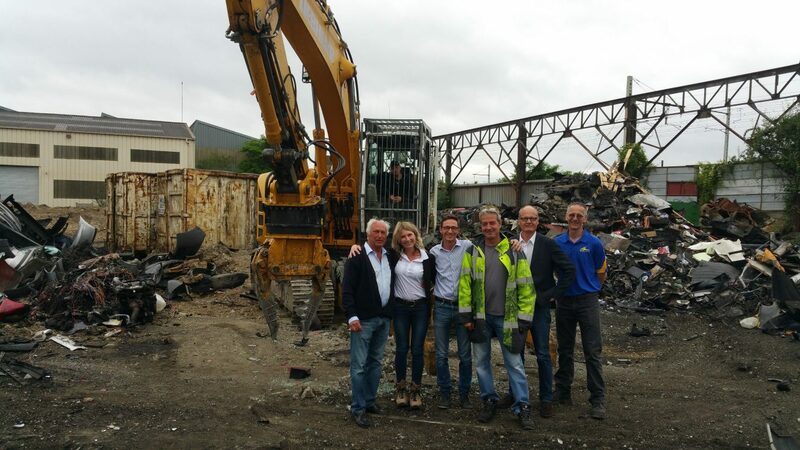 Barbara from BT Products ( www.expertsinrecycling.com ) worked with an auto recycler in Paris France to understand the auto recycler’s needs. In cooperation with Bronnenberg BV ( www.bronneberg.nl ) the installation and delivery went smoothly. 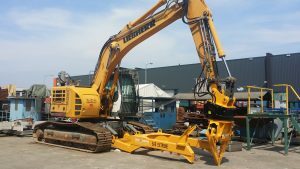 The SAS EXTREME ELV auto processing excavator attachment fitted to Liebherr 924 Compact excavator successfully fulfilled the operational needs. The SAS EXTREME auto processor attachment allows quick removal of engines, transmissions, radiators, copper wire harness, bumper covers, and plastic fuel tanks. EU car recycling targets are very stringent. Separation and marketing of these specific components for recycling allows ACA Groupe to achieve their recycling goals. Adding a new sources of revenue in today’s tight margin metal market is critical, sited, President, Fabrice Henriot, of ACA Groupe ( www.aca-groupe.com ). The throughput identified included, a target of 100 cars per day entering the auto recycler’s system. 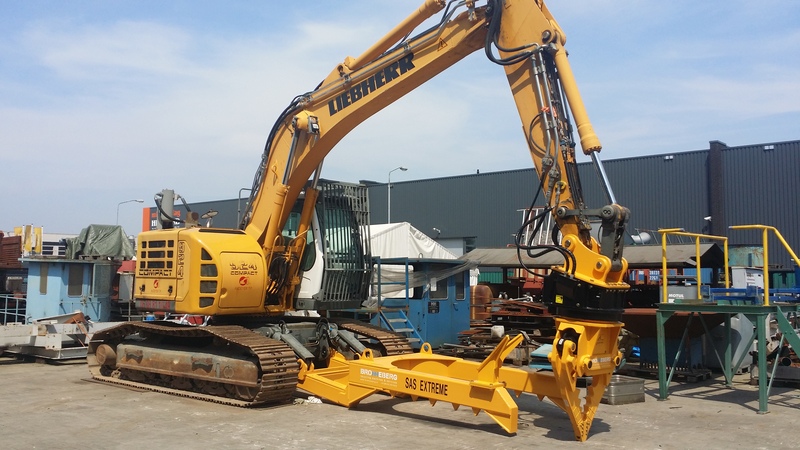 Processing approximately 70% with the SAS EXTREME for scrap metal, aluminum and copper. Dismantling 30% of the cars to retrieve good resalable parts. There is a huge amount of opportunity for ACA Groupe. Located in the heart of France, near Paris, in a country with about 38,000,000 cars ( Estimated by the CCFA 2012, www.ccfa.fr ), is a competitive advantage. The number of ELV (End of Life Vehicles) coming down the pipe line is tremendous. ACA Groupe continually investigates tools and equipment to improve efficiency to maximize the number of cars which they can process. Recently installations include individual jib cranes at each dismantling station. These new jib cranes, along with the current bridge crane which covers the entire dismantling area allows heavy auto parts, such as engines and transmissions to effortlessly be moved within the building for further disassembly, inspection and preparation for stock or shipping to customers. Numerous fluid drain racks allow a capacity of up to 18 cars to be drained simultaneously. The racks have a central fluid collection system. To protect from un-needed rain water from getting on the drain station process, a substantial building roof overhang has been engineered and provided. All considered, investments being large or small, each is robustly evaluated prior to investment and implementation to ensure success. Success includes such items as improved worker safety, improved product/parts quality for customers, improved productivity and improved profits. Fabrice Henriot, President of ACA Groupe noted, “We calculate the money we get back on our investment”. The SAS EXTREME ELV Auto Processing attachment provides success in many of the critical areas of the business in ELV processing. Web page with detailed SAS EXTREME information, video and product sheet, click here. USA & North America, click here. Happy Customer in Paris France June 27, 2016.